It's difficult to have a better start to a season than the one Bryse Wilson is having with Class A Advanced Florida. The Braves' No. 13 prospect yielded three hits and two walks over 6 2/3 scoreless innings, notching a season-high seven strikeouts, before the Fire Frogs fell to Palm Beach, 6-3, on Wednesday at Osceola County Stadium. Wilson has allowed just one earned run over 26 2/3 innings, dropping his league-best ERA to 0.34 in five outings. "He's doing the things on the mound to be successful," Florida pitching coach Mike Maroth said. "He's commanding the ball, really all his pitches, working ahead, locating his fastball to both sides, throwing his off-speed in the zone effectively. He's just doing the little things that help him out." The 20-year-old posted a nearly identical line in his last outing on April 26 but pushed his highest pitch count against the Cardinals, throwing 63 of 90 offerings for strikes. Wilson, whose comfortable with a fastball-slider mix, mentioned after the start against Lakeland that -- at Maroth's urging -- he featured the changeup his second and third times through the order. Maroth believes that third offering has been effective against both lefties and righties and is key to his development. "As he gains confidence in it, I think that he'll see the results it's been getting and that's given that confidence he's needed, and he's been throwing it more," Maroth said. 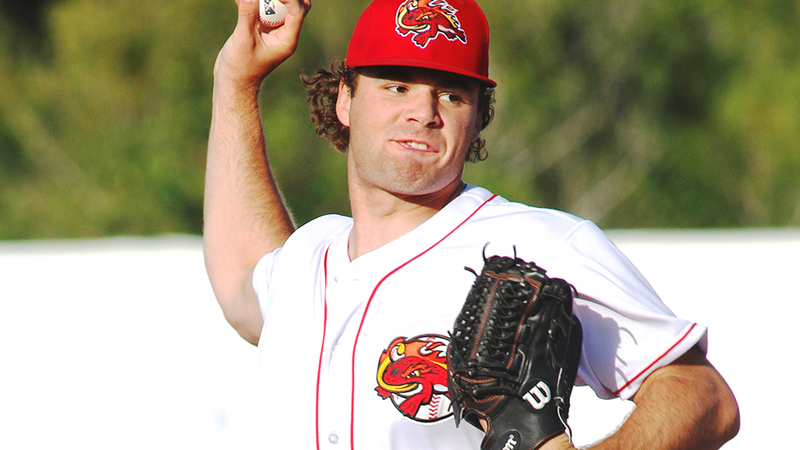 Wilson also followed suit from his previous starts by getting nine groundouts. The right-hander has recorded more than 46 percent (37 of 80) of his total outs on the ground this season. Maroth attributed that ability to get ground-ball outs to a two-seam fastball that has some natural sinking action. "It's been very effective and that's really been where his success has been, with that two-seam fastball thrown in any situation," the former Major Leaguer said. "It's been getting him a lot of those ground balls." Wilson has been brilliant since being selected in the fourth round of the 2016 Draft, owning a 1.94 ERA in 40 games, including 37 starts. He spent all of last year with Class A Rome and went 10-7 with a 2.50 ERA in 26 starts, throwing 137 innings in his first full season. On Wednesday, the North Carolina native worked around an error and a walk to get through three hitless innings before allowing consecutive singles to Evan Mendoza and Johan Mieses to start the fourth. Andy Young bunted the runners into scoring position, but Wilson buckled down to strike out Cardinals No. 18 prospect Dylan Carlson and Ryan McCarvel to end the threat. "He kept his composure," Maroth said. "That was really the only time he was in any trouble, but he was able to execute the pitches and get out of it." Wilson set the Cardinals down in order in the fifth and sixth and got Carlson to bounce into a double play to erase Young's leadoff single in the seventh. After a five-pitch walk to McCarvel, he gave way to Jon Kennedy, a left-hander who struck out Jose Godoy to keep the game scoreless. The Cardinals broke through with a run against Kennedy in the eighth and added five in the ninth, saddling Mauricio Cabrera (0-2) with his first blown save this season. Austin Warner struck out a season-high 10 over seven scoreless innings for Palm Beach, scattering seven hits and a walk. Braves No. 9 prospect Cristian Pache tripled and struck out in five at-bats.